The vote was 7-6 for the formalwear. We’ll see the whites soon enough. There was a long discussion in the writer’s room (my sofa) as to the name of the dinosaur councilman. After much debate it was determined the dinosaur is named Trillian. Oh, also, I made up a Grifball poster that might adorn a Grifball enthusiast’s wall, an enthusiast such as Brad, for instance. Or possibly Cent Cinq. Watch for it in upcoming issues… it of course has nothing to do with any Grifball team that might currently be a team. 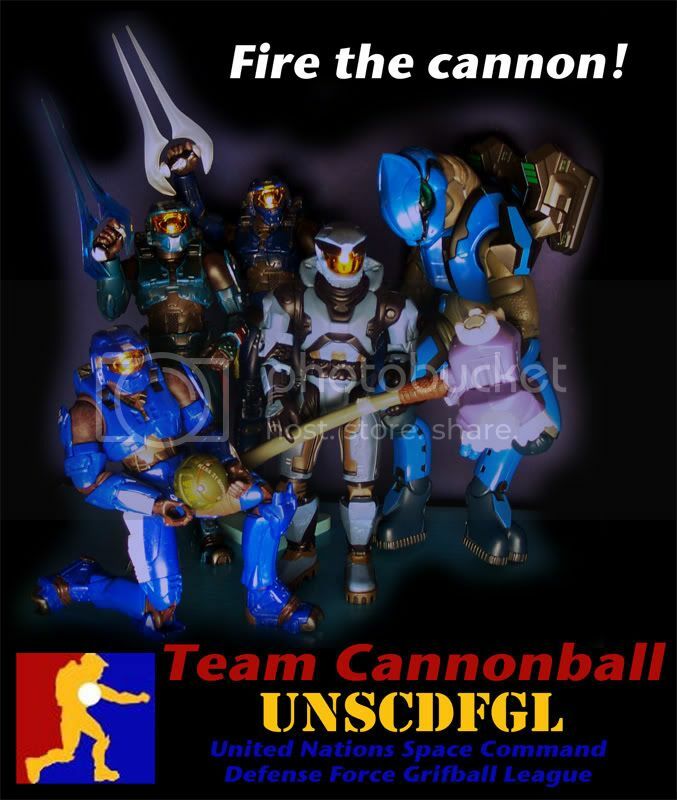 Any similarity to a Grifball team with a similar name or an oboe player on its roster would be a completely random coincidence unrelated to reality in any way and would in no way be sanctioned by said team if that team in fact ever existed. Um. 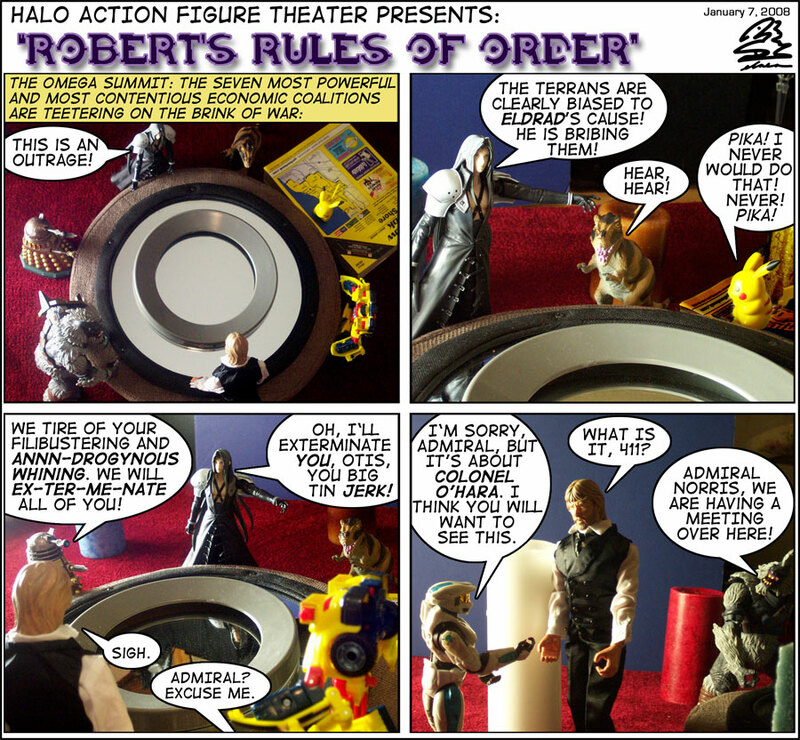 This entry was posted on Monday, January 7th, 2008 at 11:10 pm and is filed under Comics. You can follow any responses to this entry through the RSS 2.0 feed. You can skip to the end and leave a response. Pinging is currently not allowed. With just a lick﻿ of George “The Animal” Steele.